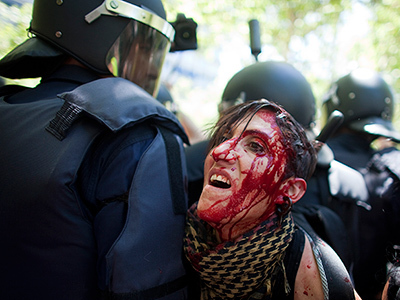 Spain's right-wing government is accused of silencing dissent. That is after several journalists were sacked for reportedly failing to toe the party line over sweeping cuts piled on the populace in return for an EU bailout for the country's banks. ­A number of Spanish journalists have been purged from the national RTVE radio and TV channel. The most high-profile exit was announced on Saturday, with Ana Pastor – the presenter of popular breakfast news magazine Los Desayunos de TVE. The channel’s officials said Pastor declined their offer of a job as a presenter of a night-time program. However, the journalist voiced a different version of events. Pastor believes that “uncomfortable interviews” in her program could have angered politicians. Her departure, similarly to the other alleged sackings, comes after the removal of RTVE’s head of news Fran Llorente, who the government had accused of political bias. Debate show host Pablo Iglesias Turrion says the Spanish government has seized control of the television and radio, and will make journalists serve its agenda. “Never in the Spanish history of public television after Franco’s dictatorship was government control of the television and radio as strong as nowadays,” he told RT. “The government is in the hands of banks and markets, and the public television is going to be ‘the Ministry of Truth,' like in George Orwell’s novel,” he added, referring to classic dystopian novel Nineteen Eighty-Four. 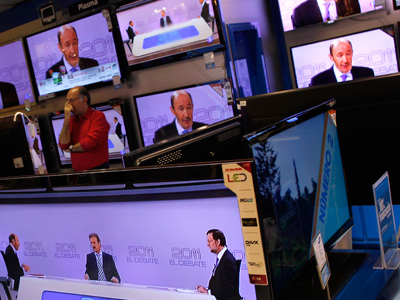 In the recent past, public television and radio in Spain could only be influenced by consensus decisions of a council representing the main political parties and trade unions, Turrion explained. However, since current Prime Minister Mariano Rajoy became the head of the government, the situation has changed drastically. “Unfortunately, the Rajoy government changed the law, and now the government has absolute control of television without any kind of agreement with parties or the trade unions. So the situation is terrible,” he concluded. Spain’s economic crisis is forcing the newly-elected conservative government to make concessions to the EU. 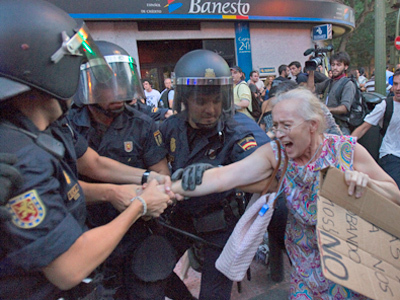 Rajoy has implemented a number of highly unpopular austerity measures, while the country has been facing large-scale protests against increasing poverty and unemployment. 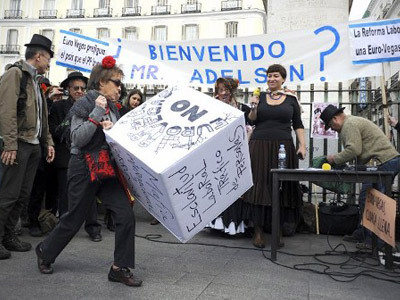 ‘Eurovegas’ to drag Spain out of crisis – or into the gutter?